Even the closest families don’t get along every day and in every situation. 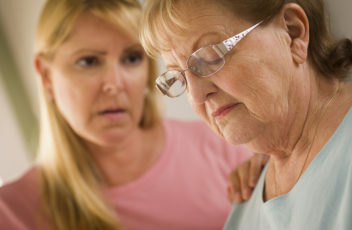 Caregiving can bring out some big emotions in everyone and that gets to be a problem quickly. Family dynamics can always be complicated, but they become even more so when caregiving is involved. Everyone wants to have a say in what is going on, even if they don’t always fully understand the impacts of their opinions. To further complicate things, you may be the only one on the scene. That gives you a perspective that others don’t have. Old relationship issues can affect how you communicate with the other people in your family, especially about complicated situations. So your tone of voice and how you phrase things really matters. It’s important to be as open and honest as you can and to do your best to avoid using intonation and phrasing that is likely to negatively affect the people you’re talking to. If you’re using blame and other tools, those are going to backfire. Whatever issues you’ve experienced in the past with your family members, you have to let them go. Even if you can’t let them go permanently, you do need to do your best to let them go when you’re dealing with issues related to caregiving. You may have to decide how important those issues are when compared to your senior’s current situation. Everyone has their strengths. In the case of your other family members, some of them may be able to handle tasks for your senior that are difficult for you or that land outside your personal strengths. When you focus on what you do well and allow others to do the same, they can feel empowered by that and therefore feel less prickly when it comes to talking about the overall big picture. If you’re not making sure that you’re in a good space emotionally and physically, all of this is going to be so much more difficult. 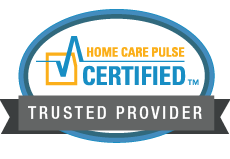 Take time away from caregiving by hiring elderly care providers to be there in your place. They’ll be able to fit in seamlessly and you’ll be able to take the time that you need. Some family members just want to fight about caregiving issues. For many, it’s a way to cope with the emotions that your senior’s situation brings up for them. You won’t be able to control or manage the reactions of other people, but you can control what you do in response.